We Buy/Sell Gaylord Boxes CT.
We have boxes available for sale throughout the Northeast. 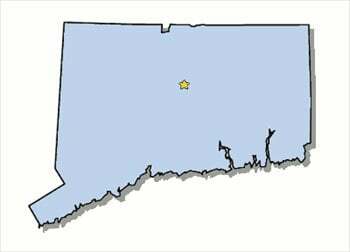 We will happily provide any and all of your gaylord boxing needs in the state of Connecticut. Upon completion of this form, we will have your request sourced immediately, and contact you via email or a phone call. Our complimentary gaylord box recycling service is available for all customers in the state of Connecticut. We will send a truck directly to your location to pick up and remove all of your unwanted inventory in order to dispose it in an environmentally friendly fashion. We are actively seeking partnerships in the state of Connecticut because of the strategic shipping lane it provides between the states of New York and Massachusetts. While we have a nominal supply in the city of Hartford, we have much larger quantities available in New York and Massachusetts. We will be able to locate the exact boxes that you need upon the completion of our box buyer form. Once your request has been sourced, we will contact you with all of our closest inventory that matches your needs. 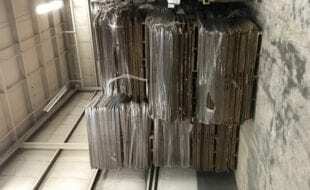 On the other hand, if you are looking to sell your gaylord boxes in the state of Connecticut, we will happily purchase them from you at preferable prices, as we are currently trying to build inventory within the state. Lastly, our gaylord box recycling service is available for all customers, and is 100% free. It is vitally important to us that your unwanted gaylord boxes are disposed of and repurposed in an efficient and environmentally friendly fashion. We look forward to doing business with you!